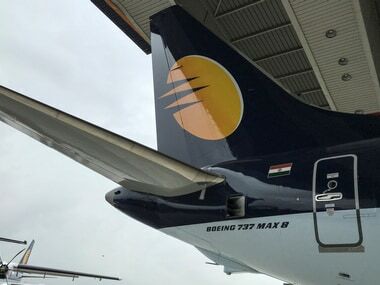 New Delhi: Shares of Jet Airways zoomed 15.5 percent on Monday with its founder and Chairman Naresh Goyal and his wife Anita Goyal stepping down from the crisis-hit airline's board. The stock jumped 12.69 percent to close at Rs 254.50 on the BSE. During the day, it rose sharply by 17.77 percent to Rs 266. On the National Stock Exchange (NSE), shares zoomed 15.46 percent to close at Rs 261 apiece. 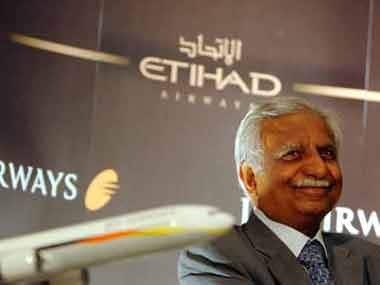 Naresh Goyal and his wife will resign from the board of the airline, according to a regulatory filing. While the airline made an official announcement about the board's decisions after the markets closed, reports have been doing the rounds since morning that Goyal would be stepping down from the board. 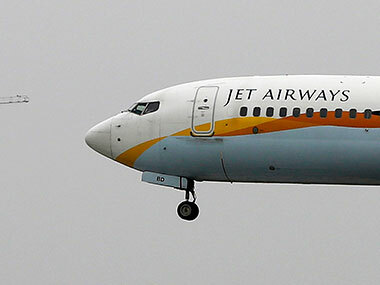 In the filing to the stock exchanges, Jet Airways said Naresh Goyal, Anita Goyal and one nominee of Etihad Airways PJSC would step down from the board. Abu Dhabi-based Etihad is a strategic partner with 24 percent stake in Jet Airways.